Don't Just Transfer to Bay Path, Transform Your Life. We give you the personal attention and service that you expect and deserve. That’s why 40% of our new students each year are transfer students. Our transfer admissions team will work with you to help you in your transition - from guiding you through credit transfers and the scholarship/financial aid process to deciding whether living on campus in one of our residence halls is the right choice for you. We want your experience at Bay Path to be the best that it can be, so you'll get the personal attention you need every step of the way. In addition to highly relevant majors and minors that connect you to the world and careers that are as interesting as they are practical, you can have the opportunity to participate in our Captials of the World Trip, study abroad programs and all aspects of campus life, including any of our NCAA Division III athletic programs. My transfer experience was wonderful, Bay Path took all my previous college credits. The new student orientation and events on campus helped me get to know my classmates and make new friends. Bay Path works really hard to make education affordable, which took a lot of my stress away during the transfer process. Everyone I interacted with was very friendly and helpful." Bay Path's online transfer application is easy and free to complete online. Do you want to know how all of those credits you've earned can be applied to our flexible transfer program? It's easy...just use our credit computer to get your personalized credit evaluation or copy and paste your information in an email to one of our transfer admissions counselors. Students transferring from 2-year to 4-year schools are eligible to apply for NETA (New England Transfer Association) Scholarships. Meet other transfer students, have a campus tour, and hear about all we at Bay Path have to offer. 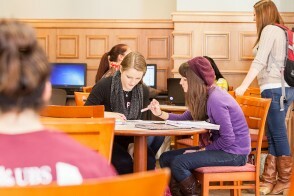 Receive a same-day admissions decision (once you submit an application) and an on-the-spot transfer credit evaluation. Have you already completed 60 credits? If you enroll at Bay Path University with 60 college credits you may be eligible for our 2+3 program, where you can complete your bachelor's and master's degrees in 3-years! Ask your Admissions Counselor for more details. 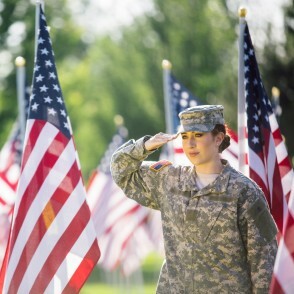 ROTC Program - Scholarships are available!